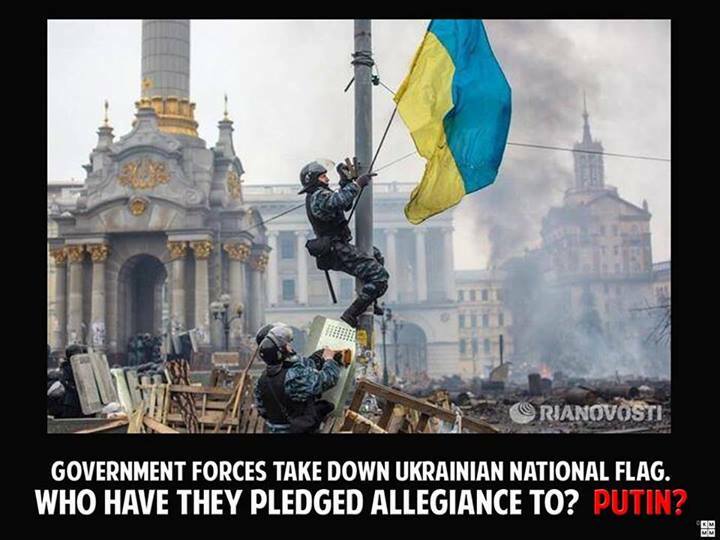 Army marching to Kiev allegiance uncertain, political turmoil, EU and US sanctions on senior politicians. Russian military implicated in ‘berkut’ armed crackdown. Euromajdan protesters retake independence square, at least 13 protesters killed by sniper fire, possibly up to 100 dead. 67 police taken prisoner by protesters. Many oligarchs and senior political officials are attempting to fee the country, even taking armoured cars full of loot to the airports. Titushki (government paid vandals/thugs) wandering city destroying property and attacking people. Hard to say if this civil war at this stage or exactly what it could be defined as, but it is certainly happening. Posted on February 21, 2014, in Actions & protests, Censorship, Europe & EU, Law & Government, Military, Plutocracy, Police, Reblogged, Socialism, Video and tagged Euromajdan, Kiev, Majdan, revolution, Ukraine. Bookmark the permalink. 1 Comment.